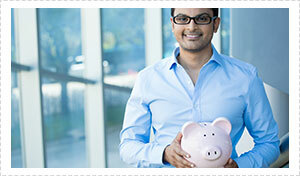 Personal loans are loans that are taken out for the purpose of making a specific purchase such as a holiday or car. 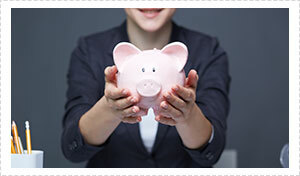 Personal loans are generally the best solution for a short or medium term need for finance. Almost anyone can apply for a personal loan although they tend to be for amounts greater than $5,000. Just like any other loan, as a borrower your ability to service the debt is assessed based on your suitability for the personal loan. The term is the period of time you agree for the loan to be repaid. The term is fixed at the beginning of the loan, usually between twelve months and 7 years and the repayments include the principle plus the interest and any associated fees. Payments are made weekly, monthly or fortnightly based on the agreed conditions between the lender and the borrower. Interest rates can be fixed or variable depending on the lender. A personal loan can seem like an attractive way of getting credit with the offer of low interest spread over a long term. Keep in mind that the longer the term of the loan the more interest you will have to repay. The important thing to keep in mind when researching personal loans are what features it has and how important they are to you. This is especially important for longer loan terms because it’s hard to predict what your personal financial circumstances will be in three, four or five years’ time. The loan terms may be perfect for you right now but you need to consider the flexibility of the loan, especially for longer terms. A fixed interest rate is calculated up front on the principle of the loan. The advantage of this is that no matter how market rates fluctuate, your rate doesn’t change. This makes the repayments on personal loans predictable so they can be easier to manage in your budgeting. The disadvantage of this is that if you want to clear the debt earlier than the original agreed term by making additional payments, you will usually be required to pay a fee. Choosing a variable rate means that your interest rates may increase during the term of your loan. Although this will affect your repayments a variable rate will give you greater flexibility so you can repay the loan sooner if you wish to. Something to keep in mind when considering the term, you choose for your loan is how it might affect your chances of being approved for other types of credit such as a phone plan or credit card. It’s best to speak with a finance professional if you’re unsure. A personal loan will allow you to finance now and pay later. This can be helpful in a situation where saving and waiting may not be the most suitable or practical option. For timely opportunities or urgent matters that require a large sum of money quickly a personal loan can provide the means in a doable way. A personal loan is a legally binding contract between the borrower and the lender so always check and make sure you understand the terms and conditions of the loan before signing. If you require assistance in obtaining a personal loan Nexhome Finance, based on the the Gold Coast and servicing Brisbane, can help you determine the best type of personal loan for you. We work with many lenders, which means we are familiar with different types of personal loans available in the market and can provide our clients with a wide choice of loan packages that best suit their needs.